Pincushion PlantDeciduous perennial. Clumping habit. Deep green leaves are lightly lobed at the base..
Pincushion PlantDeciduous perennial. Dwarf clumping habit. Deep green leaves are lightly lobed at th..
Variegated Pincushion FlowerDeciduous perennial. Dwarf clumping habit. 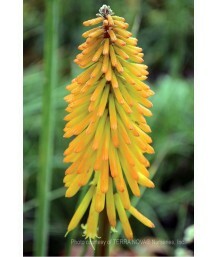 Light grey-green leaves with ..
Red Hot Poker/Torch LilyEvergreen perennial. Moderate growth. 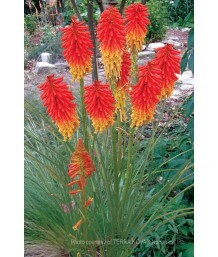 Stays short and has smaller flowers th..
Red Hot Poker/Torch LilyEvergreen perennial. Compact growth habit. 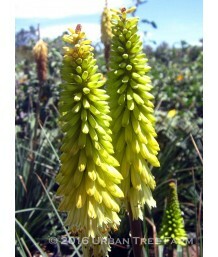 Soft green, grassy or bladed foli..
Hot-Poker/Torch LilyDeciduous shrub. Clumping habit. Bright green grass-like foliage. Lime green flo.. Dwarf Red Hot PokerEvergreen perennial. Clumping habit. 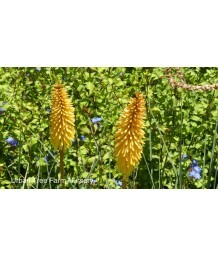 Thin, medium-green, grassy or blade like fol..
Red Hot Poker/Torch LilyEvergreen perennial. Clumping habit. Thin, blue-green, grassy or blade like ..